1. 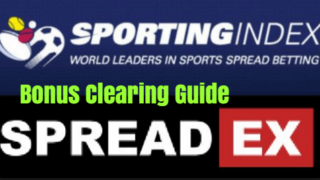 Never Ever Be Fooled By Fancy Records Dressed By Fake Tipsters, We Show You 3 Simple Methods & Formula To Assess Tipster / Handicapper Real Ability!! Never Ever Be Fooled By Fancy Records Dressed By Fake Tipsters, We Show You 3 Simple Methods & Formula To Assess Tipster / Handicapper Real Ability!! based on Mathematical Edge to Beat online bookies, casino & bingo. 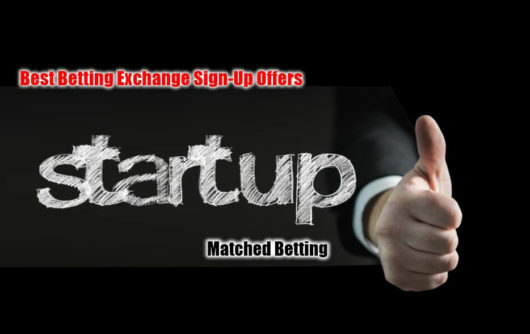 When it comes to Sports Betting, we use Matched Betting & Sports Arbitrage for starters. So if you started betting but have not done these 2 advantage plays, suggest click those links to take a look first because you can lock-in profit without risk easily. Our last advantage play for sports is Value Bet On Proven Tipster. Yes, that’s the subject of this document. There are so many self-declare fake tipsters in the internet. As you may be aware, tipping performance can be distorted or disguised to look fantastic even the fact is very poor. Thus, knowing how to gauge the performance & eliminate fake tipsters to reach genuine best is critically important. We show you 3 Easy but Effective ways to Distinguish Between Fake Tipsters & Real Skilled Tipsters. Please be noted, although I use the word fake tipsters, it is not necessarily cheating or fraud. What I refer is the ones that mislead you to think good tipsters with or without intention despite the fact that the reality is not good. The articles include geek’s math / statistical science, and I know many are not interested in them. So just skip all of them but just check what I highlighted in bald or red color, or even only checking my Quick Wrap Up in bald brown color is enough. The things I would not like you to miss are the last ‘Conclusion’ & ‘2 Reliable Systems’. Some bettors defer the betting selection process and use tipsters. Unfortunately, it’s easy to confuse whether a tipster’s track-record shows a statistically significant predictive ability, or just a good run of luck. This article explains how to judge a tipster using survivorship bias. For example, there’s a tipster that, over five years, had a 100% track record of predicting tennis matches with an even probability of success – making $50,000 profit. Impressive, right? Not if you discovered that the star tipster was, in fact, a monkey. Let’s say we run a simulation which sees 10,000 tennis tipsters (or monkeys, it really doesn’t matter) each with a 50% chance of either making $10,000 a year or losing $10,000 a year. If any tipster has a losing year, they are eliminated. The tipsters/monkeys make their predictions by simply pushing one of two buttons. If we run the test for one year 5,000 of our tipsters would be $10,000 in profit and the same number $10,000 in the red and binned. In year two we would have 2,500 monkeys with perfect record and if we keep going by Year 5 we would have 313 monkeys from that original cohort that would statistically be able through pure luck to make successive accurate predictions and $50,000. This phenomenon is called survivorship bias, and it has huge significance in the real world of tipsters, because the successful tipster currently topping the tipster league table on hottips.com may just be a lucky monkey pushing a button. What are the important factors that influence this process? The size of the original sample is critical. If you just focus on the winners in this process, ignoring all the other billions of monkeys producing gibberish, you’re being fooled by randomness. The simple fact is that by starting from a large enough sample, some of the participants will end up looking like a savant by pure luck. On a very basic level, a good judge of a tipster would be whether they use Pinnacle. The other critical factor is the probability of the event. Our example used a fair coin toss (50/50 chance of heads or tails), but in the real world a bookmaker will hold an edge. Re-running our test with higher margins produces fewer lucky winners: the lower the margin, the easier it is to achieve long-term success. On a very basic level, a good judge of a tipster would be whether they use Pinnacle. Pinnacle odds are proven to be the best, so if they don’t use us, they clearly don’t know their stuff. There are plenty of great examples of survivorship bias, but one particularly clever stunt by the famous English illusionist Derren Brown in a 2008 programme called The System’ cleverly illustrated how deceiving it can be. The show was based around the idea that a system could be developed to ‘guarantee a winner’ of horse races – a claim regular bettors will be accustomed to. The show followed Khadisha, to whom Brown anonymously sent five correct horse race predictions in a row. There was no trickery at work either, the predictions were fair and accurate and the programme built towards a climax focusing on a sixth and final prediction where, confidence boosted by Brown’s 100% tipping record, Khadisha invested $4,000 of her own money… and lost. Of course there was no system; Khadisha was simply the product of survivorship bias. Brown had actually started by contacting 7,776 people (sufficient sample size), and split them into six groups, giving each group a different horse from a six-horse race. Note the number of variables is as equally important as the number of predictions in how quickly the original sample reduces in size. A good judge of a tipster would be whether or not they use ? After each race 5/6 of the people had lost and were dropped from the system (like our failing monkeys) and equal proportions of the survivors randomly sent another selection. Khadisha happened to be the ultimate survivor, winning five times in a row. The fundamental lesson for sports betting is that anyone can hit a lucky run, and the more improbable something is; the bigger role luck has. If your typewriting monkey produces the Complete Works of Shakespeare from a sample of several billion, don’t get too excited. If he repeats the feat, however, take a closer look. For example, if he has 400 tips, the square root would be 20, which added to one half of 400, gives a total of 220 theoretical wins. If the tipster is 20 selections above 200, he is two standard deviations above average. There’s about a 1 in 40 chance of a 50% handicapper doing that. So a player with 400 selections would need to go 220-180, or 60-40 with 100 selections to be this rare. to make a quick check. If the tipster’s winning is more than that, he/she can be pretty good. Besides, check if the tipster quotes Pinnacle price, which is based on the lowest margin thus the highest odds. Such price is the fundamental for long-term success for punters. Whether using Pinnacle odds or not is another element to make a quick judgement. from Pinnacle, which gives you further insight on it. Betting tipsters often promise high strike rates that will win you a fortune. Although the promise of big profits is alluring, how can you tell the difference between a profitable tipster and a salesman. In a previous article, Mark Taylor explained how luck influences betting and whether profit is always a sign of skilful betting. Using a series of coin tosses as an example, Mark used a binomial calculator to calculate the probability of making a profit after ten consecutive wagers. The binomial distribution is well suited to 50-50 propositions like point spread or Asian handicap markets, where the odds for each side are close to even money, or a little shorter after the bookmaker applies his betting margin. Often, however, bettors bet on all sorts of different prices with all sorts of different stakes, for example 1X2 markets in soccer or match betting in tennis. In such circumstances, we can rely on what is known as the t-distribution and the student’s t-test for statistical significance, which uses it. In this article, I explain how to use the t-distribution to gauge the performance of a betting tipster. The t-distribution is very similar to the bell-shaped normal distribution and for numbers of wagers above about 30, is to all intents and purposes the same thing. The t-test investigates the likelihood that a profit from a series of wagers could have happened by chance. A return of 120% from 100 wagers at odds of 10.00 or longer is most likely to be a consequence of luck. Same returns from betting odds-on prices is an indication of skill. The smaller the likelihood, the more probable it is that something else, like the bettor’s skill, is explaining their profitability. The t-test simply compares the bettor’s observed return to a theoretical expectation (assuming chance only) defined by the market they’re betting in. Usually this would be a loss equivalent to the bookmaker’s margin, or break even if the bettor is taking the trouble to find best prices using an odds comparison tool. The resulting t-score is then analysed to determine whether the difference is statistically significant. It should be intuitively obvious that the larger the profitability the bigger the t-score and more statistically significant the betting history, in other words, the more likely it is that skill has played a part. The t-score is directly proportional to a bettor’s excess average return over expectation. Similarly, the longer the history (for an equivalent return) the more likely it is that something other than chance is at work. Consider, for example, two bettors with a 120% return on investment. The first achieved it from 10 wagers, the second from a 1,000. Who is more likely to be the skilled bettor? If in doubt, think of tossing coins again. Landing six plus heads out of 10 tosses is obviously far more likely than landing 600 plus from 1,000 assuming only chance. Were one to land 600 or more heads, one might reasonably suspect the coin to be biased. Similarly, we are more likely to conclude that a bettor with a long record of profitability is demonstrating skill. The t-score is in fact proportional to the square root of the number of wagers. Less intuitive is the influence of the betting odds. In fact, a 120% return on investment from betting odds around 1.25 will be a much better indicator of skill than an equivalent profitability from betting odds around 5.00. Betting on lower probability outcomes (longer odds) is inherently riskier (assuming equivalent stakes) because it is more at the mercy of random variability. To put it another way, returns are more volatile. 19 or 21 winners at odds of 5.00 will give returns of 95% or 105% respectively. In contrast, 79 or 81 winners at odds of 1.25 will show 98.75% or 101.25% profit over turnover. Betting longer odds implies taking more risk to get more reward. We can see the influence of the betting odds by means of the standard deviation in profits and losses of the betting history. For level staking, the standard deviation can be approximated by the following expression. Where is the number of wagers. Consequently, the t-score for equivalent returns and length of betting history will be more than eight times smaller betting at odds of 5.00 compared to 1.25. It should be clear that superior yields achieved through betting longer odds, as is typical in markets like horse racing, are not necessarily a sign of better forecasting talent. The same amount of luck will deliver much bigger percentage returns. Hence, comparisons of betting histories that consider only percentage returns, as is common when ranking tipsters, are fundamentally misleading. By taking into consideration the betting odds, the t-score provides a measure of the quality of the risk-adjusted return in excess of expectation. The final step is to convert the t-score into a probability (the p-value) that a history of profitability could arise by chance only. Those with Microsoft Excel can make use of the TDIST function. This takes the form TDIST (t, degrees of freedom, tails), where t is the t-score whilst degrees of freedom is the number of independent pieces of data and is equivalent to the number of wagers minus one. The tails argument can be either one (for the one-tailed t-test) or two (for the 2-tailed t-test). Since we’re really only interested in whether a profit is statistically significant, the former is preferred in this case. Alternatively, one can make use of an online calculator where these values can be inputted. The table below shows some examples of t-scores and their corresponding p-values for betting histories of 100 wagers and a return on investment of 120%. Evidently, the average odds at which someone bets has a big influence on whether their profitability can be considered lucky or skilful. A return of 120% from 100 wagers at odd of 10.00 or longer should clearly be considered largely a consequence of luck. By contrast, if a bettor was to show the same return betting odds-on prices, it is far more likely that the profitability has arisen because of their skill. Consequently, when comparing betting histories, for example from tipsters, it is not enough just to analyse their percentage returns, but also the length of their records and the odds at which they were achieved. Don’t be fooled by the fancy return % which even confirms not being affected by survivorship bias. Length of the tipping & the tactics (long or short odds) are the 2 key factors you need to check. 1 parameter, 120% return from 100 wagers at odd of 10.00 or longer is Not Skill but largely Luck. Then, finally if we find the very good tipsters who pass the above tests, is it enough? See the last check to verify whether he/she is “Too Good To Be True”. For those of us who use tipsters to find positive expectation there are two important questions. Is the tipster lucky or skilled? And is the track record genuine? We have previously investigated how to evaluate a tipster’s ability and how to test a betting record for evidence of predictive skill over luck. Now we look at how you can assess a record’s credibility. Read on to find out. 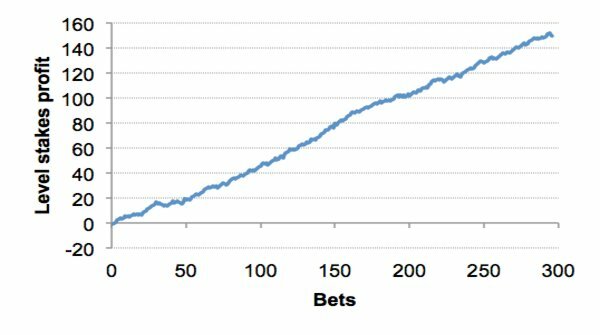 Pinnacle has previously investigated how to evaluate a tipster’s ability (the 1st article) and how to test a betting record for evidence of predictive skill over luck (the 2nd article). 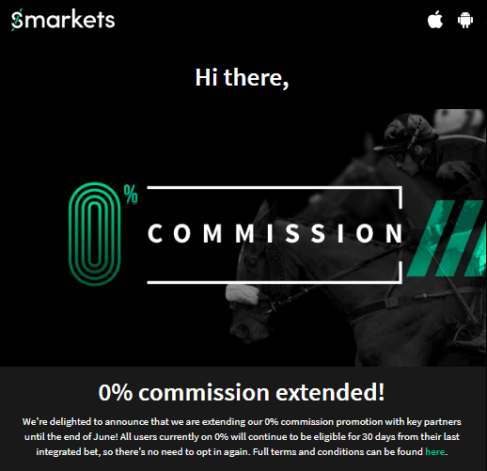 But once you have your hands on a tipster’s seemingly credible record, how do you know that it is still a good deal for you to invest your money in? Let’s find out. Previously, I’ve discussed how the t-test can help look for evidence of forecasting skill, by investigating the likelihood that a profit from a series of wagers could have happened by chance. The smaller that probability the greater the likelihood that something else, like skill, might have caused it. However, when a betting record looks too good to be true, we might arrive at a different conclusion: a manipulated record. With a t-score of 9.3, such a record of profitability could be expected to happen by chance roughly once in a million trillion times. The improbability of such an event and the near-perfect profit trend that verges on the impossible should set alarm bells ringing. Nevertheless, such a result does not prove that the tipster is cheating. He could yet be the most supremely talented forecaster. How, then, can we test that proposition? Mirio Mella has previously talked about the significance of market movement. Prices adjust as bettors express their opinions with money, reflecting the available news about teams or players. The greater the interest in a particular team or player is, the greater the likelihood that their odds will shorten. Dafni Serdari also explains why the closing price is important. Bettors who consistently beat the closing price are considered to be sharp. They have brought information to the market, which is reflected in their ability to shorten the odds. 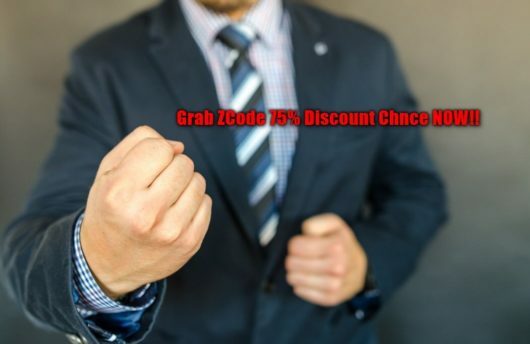 Where they consistently beat the closing price by more than the margin, this is a sign of positive expectation and helps distinguish winning from losing players, or sharps from squares. I’ve previously analysed a large sample of opening and closing prices. This unequivocally demonstrates that the margin by which you beat the closing price is an excellent predictor of your profit expectation. For example, if you bet a price of 2.20 on a team which closes at 2.00, your predicted advantage will be 10% (minus the margin). Does our “quality tipster” consistently beat the closing price? With a profit expectation of 51% we should expect to see odds of 2.00 shorten by 51% plus the margin to about 1.30. Inspecting the tipster’s final 20 tips advised with Pinnacle in the study sample we find the following. There is no statistically significant difference between this and randomness. This tipster is not moving Pinnacle’s market in any systematic manner. Indeed, he’s not even covering the margin. Evidently, when he was advising his tips, Pinnacle was not taking notice. A second method we can use to test the credibility of a tipster’s betting history is the Wald–Wolfowitz runs test for randomness. Named after Abraham Wald (the statistician who discovered survivorship bias) and Jacob Wolfowitz, this test determines whether a binary data sequence arises from a random process. Regardless of any signal arising from the tipster’s skill, sequences of wins and losses should still reflect the underlying random noise in the history, since each sequential bet is independent of the previous. A tipster advising even-money propositions with no forecasting skill would replicate a series of coin tosses. A tipster with a 74% strike rate would represent a weighted coin 74:26 in favour of heads over tails. We’ll see three times as many heads as tails, but the sequence distribution will still be random. Finally, we convert this into a probability (the p-value) that the difference between the observed and expected number of runs could have arisen by chance. In Excel, this can be performed using the NORMSDIST function, as I have done with my own runs test calculator. The smaller the p-value, the greater the likelihood that the hypothesis of randomness and statistical independence of the win-loss sequence may be rejected. Typically this happens at p-value = 5% (Z = 1.96) or sometimes 1% (Z = 2.58). For the sequence above Re = 10.9, Z = 0.88 and the p-value = 38%, from which we would conclude that the sequence is random. A successful runs test rests on the assumption that the probability of each bet outcome is the same (as for a coin toss). Although this is typically not the case where odds for tips vary, it should not be violated excessively where they are broadly similar. This will most commonly be true for Asian handicappers and point spreaders where odds show a narrow range around 2.00. For our tipster under analysis, 96% of his tips had win probabilities of between 40% and 60% with 78% between 45% and 55%. So what does a runs test say about his record? From these results, we can confidently reject the hypothesis that the sequence is random. There are simply too many runs compared to expectation for a tipster with a 74% strike rate with average odds close to 2.00. A closer inspection reveals why the randomness test failed: an excess of shorter runs and a dearth of longer ones. 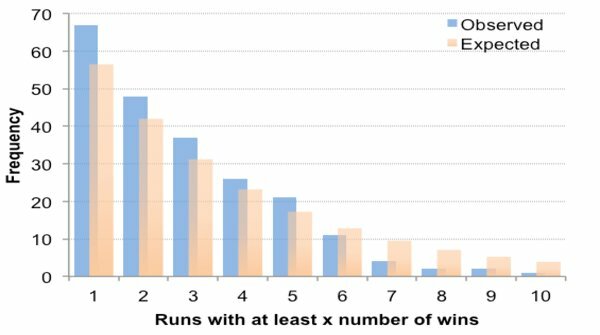 [The expected number of runs containing at least x wins is approximated by nqpx where p = win expectation (74%) and q = 1 – p (26%)]. For example, there were 67 runs with at least 2 consecutive winners compared to an expectation of 56. By contrast, there were just 2 runs of at least 8 consecutive winners when expectation was 7. If this tips history is not random, what is it? The simplest explanation is that it has been manipulated. Given the excessive number of shorter winning runs, the likelihood is that the tipster has too often inserted a losing result to break up a longer winning sequence. Why? We suffer a cognitive bias known as the clustering illusion, with a tendency to erroneously consider inevitable runs or clusters arising in random distributions to be meaningful. Consequently, when asked to actually create random binary sequences the majority will switch from W to L or vice versa, if they feel that one of them is happening too often. Our tipster has evidently perceived long winning runs to look unnatural when the opposite is true. In fact in a sequence of 296 tips with a win expectation of 74% we should typically see at least one run of 15 wins. His largest was 11 with one other of 9 and two of 7. If a tipster’s record looks too good to be true, it probably is. Before buying, test it for evidence of outperforming the closing odds and the presence of randomness in its sequences. If neither exists, keep your money in your wallet and move on. With regards this “quality tipster”, another analysis of closing prices for his most recent tips shows he’s still not influencing Pinnacle’s market at all. Furthermore, he’s now been shown to be altering past tips histories, inserting a series of losing tips presumably with a view to making the record look less impossible. A re-run of the Wald–Wolfowitz runs test will be able to determine if he’s still fooled by randomness. If he is, make sure you are not. Firstly, quickly see if the tpister’s record is affected by survivorship bias with the formula of; √ (No. Selections) + ½ (Total Plays Made). And also see if Pinnacle odds is used as their quoting price. If it clears survivorship bias and using Pinnacle, looks worth checking further. Secondary, check the Length of Tipping Record and Odds Tactics (Long or Short). In the article, there are no specific indication on the length, but I personally feel at least 2 years & a few hundreds tips which looks minimum as the base sample to prove any numbers. For Long or Short, again there is no definite parameter to judge. But the key point is if the good record comes from long odds tactics, you need to be careful. Because it could be the result of luck rather than skill. In other words, if it comes from short odds tactics, it’s safer to go ahead. Finally, the credibility of the records. Honestly speaking, majority of the punters don’t have time to run such complicated test as specified in the article. In the first place, I position this element as the last based on Pinnacle article’s original sequence though, it could be the first point you can check. Because manipulation of the record can be avoided by the 3rd Party Proofing System or Verified By Public if the tips are announced in the public place. So, as long as you chose the tipsters of which tips are proven, you can largely avoid this “Too Good To Be True” issue. Obviously, you don’t need to worry about “Too Good To Be True” because they prove all the tips. Their Hall Of Fame Tipsters (top 20+ tipsters) are the results of SBC’s over decade’s proofing & rating work, of which rating criteria are very strict. Therefore, their top rated tipsters have large chances to continuously provide profit for long-term in the future. All of their tips are publicized in the private site & forum, thus being verified by thousands of members. Means, no need to be bothered by credibility of their record. Actually, their records are verified publicly all the way back to 1999 by back-testing and also forward testing, of which significantly large data base prove authentic & reliable enough. Lastly, we rely on Pinnacle . Some may wonder, who is Pinnacle & why we think much of them. So, briefly, Pinnacle is Best of The Best Sportsbook in the world for Professional Punters. We think they are MUST bookmaker for Advantage Players. Suggest you take a look at Pinnacle Full Review – Is Pinnacle Bet Really Perfect Sportsbook for Sharp Punters?